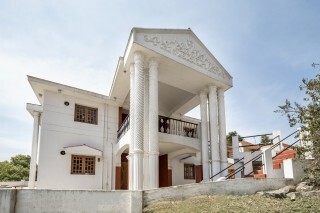 Located 1.2 km from Ooty Lake, this is an offering of a four-bedroom cottage. The cottage can accommodate up to twelve people and is ideal for a group vacation. 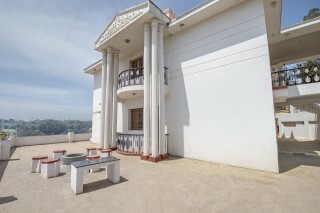 Your space This property is situated at distance of 2.7 km from the Ooty Railway Station. Ample seating is provided in the outdoor sitting area for your convenience. The cottage has a majestic façade with a high-vaulted marquee from which tall columns trope down to accommodate two levels, wrought-iron parapet balconies on all sides, and compact French windows. 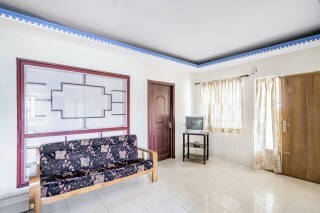 Inside, the living room is furnished with a sofa and a television to keep you entertained. The dining area is equipped with a five-seat dinette to ensure mealtimes are convenient. 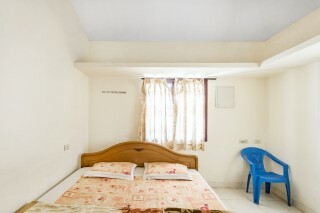 The neutral-themed bedrooms are furnished with comfortable double beds and compact luggage cabinets. The bathrooms are appointed with western sanitary ware. Guest Access Feel free to spend leisurely time in the common areas and the outdoor seating area. Ample parking space is available. Guest Interaction Feel free to reach out to me in case you need any assistance. Local help is provided on request. 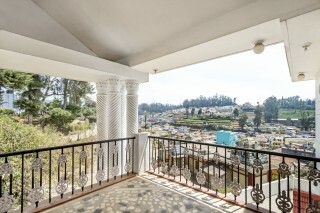 Neighbourhood Overview The property is located about 3.9 km from Botanical Garden, 1.4 km from Ooty Lake, and 2.3 km from Thunder World. 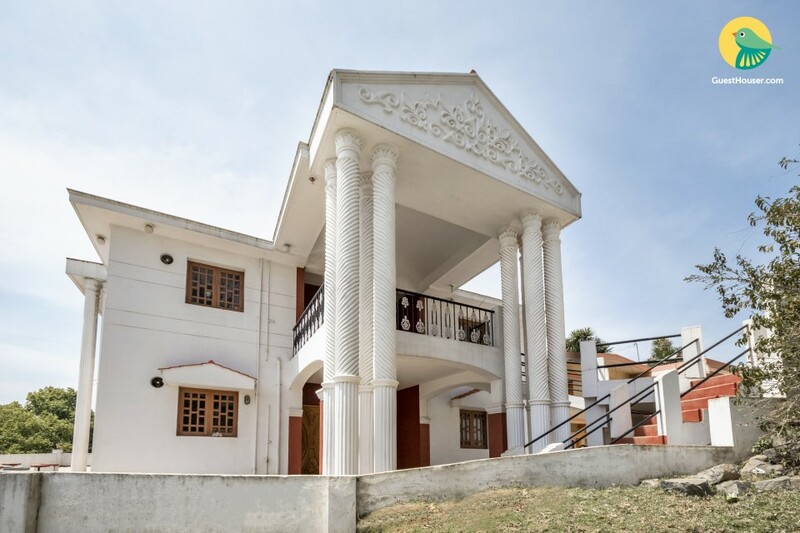 Getting Around Coimbatore International Airport is 87km away, Ooty Railway Station is 2.7km away, and Old Post Office Bus Stop is 1.1 km away from the property. Additional Information Guests are requested to provide valid ID proof at the time of check-in. The guests are requested to provide valid identification at the time of check-in. Breakfast, lunch, and dinner are provided on chargeable basis. The host does not lend his property to male bachelors. Families and married couples are welcome here. The host regrets any inconvenience this may cause. Places to visit : Thread Garden - 1.5 km. Ooty Lake - 1.2km. Thunder World - 2.7 km. Sanctuary Avalanche - 3.0 km. Botanical Gardens - .4 km. Rose Garden - 4.4 km. Ketti Valley View - 9.2 km. Doddabetta Peak - 10.7 km. Emerald Lake - 18.7 km. Pykara Lake - 21.0 km. My stay over the property was just Fantastic!!. All the services and the amenities were provided. The rooms were quite clean and spacious. The host is also very nice person. The Guesthouser website was easy to use. 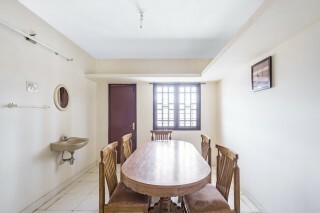 I find Guesthouser properties more appropriate than a hotel because these kind of properties are more comfortable and give you a homely feel. Good services Guesthouser, surely book again. Stay was average, as it was a relaxing trip for us. 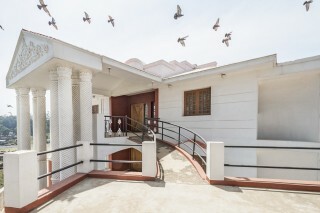 My family enjoyed very much, rooms were clean and staff was there available if required, and it was in a good locality too. Thanks to guesthouser for all the services. Ooty Railway Station - 3.1 km. Coimbatore International Airport - 98.9 km. Finger Post Bus Stop, Old Pykara Road - 500 m.